The 2018 Wheelchair Basketball World Championship was held at the Edel-optics.de Arena in Hamburg, Germany, from 16 to 26 August 2018. Both the men's and women's tournaments were held, with 12 women's and 16 men's teams competing, representing 19 different nations. Each team selected 12 players for the tournament. The men's competition was won by Great Britain, with the United States winning silver and Australia winning bronze. The women's competition was won by the Netherlands, with Great Britain winning silver and the host nation winning bronze. The Edel-optics.de Arena is a multi-function sports facility in the Wilhelmsburg district of Hamburg with a sports hall and a swimming pool. The hall is the home venue of the second division basketball team Hamburg Towers. It is owned by the Benno and Inge Behrens Foundation, and operated by the InselAkademie Sport- und Schulungszentrum Wilhelmsburg GmbH. The International Wheelchair Basketball Federation (IWBF) is the international governing body for the sport of wheelchair basketball. IWBF is recognized by the International Paralympic Committee (IPC) as the sole competent authority in wheelchair basketball worldwide. International Basketball Federation has recognized IWBF under Article 53 of its General Statutes. Maureen Orchard is the Secretary General of the International Wheelchair Basketball Federation. 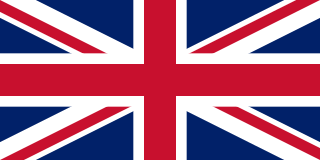 ↑ "World Championships 2018 – GB men win gold and our women take silver!!!!". British Wheelchair Basketball. Retrieved 27 August 2018. ↑ "Wheelchair Basketball". Australian Paralympic Committee. Retrieved 23 August 2018. 1 2 "2018 World Championships All-Star Teams". International Wheelchair Basketball Federation. Retrieved 29 August 2018. ↑ "Chinese coach strikes player during women's game at World Wheelchair Basketball Championship". Global News. 21 August 2018. Retrieved 27 August 2018. ↑ "Further sanctions issued following incident at 2018 Women's World Championships". International Wheelchair Basketball Federation. 23 August 2018. Retrieved 27 August 2018. Shelley Chaplin is an Australian 3.5-point player wheelchair basketball player. She participated in the 2004 Summer Paralympics in Athens, where she won a silver medal; in the 2008 Summer Paralympics in Beijing, where she won a bronze medal, and the 2012 Summer Paralympics in London, where she won a second silver medal, a win she dedicated to her lifelong friend Shannon. Wheelchair basketball at the 2012 Summer Paralympics was held from 30 August to 8 September. Competitions were held at the newly built Basketball Arena, which seated 10,000 spectators, and The O2 Arena. Australia were the defending champions of the men's championship, while the United States were the defending champions of the women's championship. Germany competed at the 2012 Summer Paralympics in London, United Kingdom, from 29 August to 9 September 2012. 150 German athletes, 88 men and 62 women, participated in London. The Australia women's national wheelchair basketball team is the women's wheelchair basketball side that represents Australia in international competitions. The team is known as the Gliders. The team hasn't won a gold medal for Australia since it began competing at the 1992 Summer Paralympics, however it has won either the silver or bronze medal since the 2000 Summer Paralympics held in Sydney. Gliders finished 6th at the 2014 Women's World Wheelchair Basketball Championship but did not qualify for the 2016 Summer Paralympics. 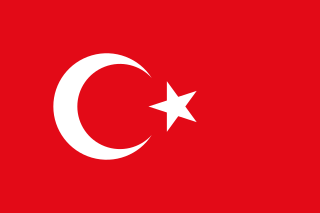 Turkey competed at the 2012 Summer Paralympics in London, United Kingdom, from 29 August to 9 September 2012. Shaun Daryl Norris, OAM is an Australian wheelchair basketball player. David Ian Gould, is an Australian wheelchair basketball player and coach. John Triscari is an Australian basketball coach. He was the coach of the Australia women's national wheelchair basketball team at the 2012 Summer Paralympics, where the team won a silver medal. He is a long-time coach in the State Basketball League, currently in the position of head coach of the South West Slammers men's team. Spain men's national wheelchair basketball team has represented Spain at the IWBF European Championships, IWBF World Championships and at the Paralympic Games. The team won a bronze at the 2013 European Championships. They finished fifth at the 2012 Summer Paralympics, and sixth at the 1992 Summer Paralympics. Spain also has a men's national under-22 team and under-23 team. The under-23 team finished second at the 2009 Paris European Championships. The Netherlands competed at the 2016 Summer Paralympics in Rio de Janeiro, Brazil, from 7 September to 18 September 2016. The first places the team qualified were for four athletes in equestrian team dressage. Amy Conroy is a 4.0 point British wheelchair basketball player who represented Great Britain in the 2012 Summer Paralympics in London, the 2014 Women's World Wheelchair Basketball Championship in Toronto and the 2016 Summer Paralympics in Rio de Janeiro. Joy Haizelden is a 2.5 point British wheelchair basketball player who was the youngest player to represent Great Britain at the 2014 Women's World Wheelchair Basketball Championship in Toronto. Wheelchair basketball at the 2016 Summer Paralympics will be held from 8 to 17 September at Carioca Arena 1 and the Rio Olympic Arena in Rio de Janeiro. Leah Evans is a 2.0 point British wheelchair basketball player who represented Great Britain at the 2015 Women's U25 Wheelchair Basketball World Championship in Beijing. 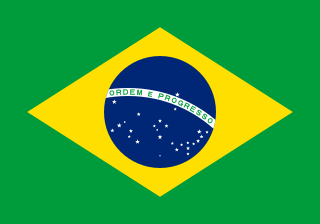 Brazil was competed in the 2016 Summer Paralympics in Rio de Janeiro, as host country, from 7 September to 18 September 2016. 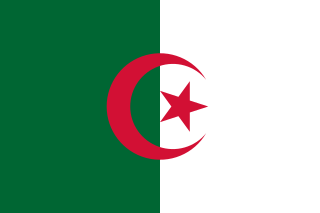 Algeria competed at the 2016 Summer Paralympics in Rio de Janeiro, Brazil, from 7 to 18 September 2016. Helen Freeman is a 4.0 point British wheelchair basketball player who represented Great Britain in five European championships, and at the 2008 Summer Paralympics in Beijing, the 2012 Summer Paralympics in London and the 2016 Summer Paralympics in Rio de Janeiro.